Calling all Tangled movie lovers, this one is especially for you! The beloved twist on the story of Rapunzel is surely already a classic and a fav of fans everywhere. This movie diy was inspired by the idea of Disneybounding which I only recently learned about. More on that in a sec. 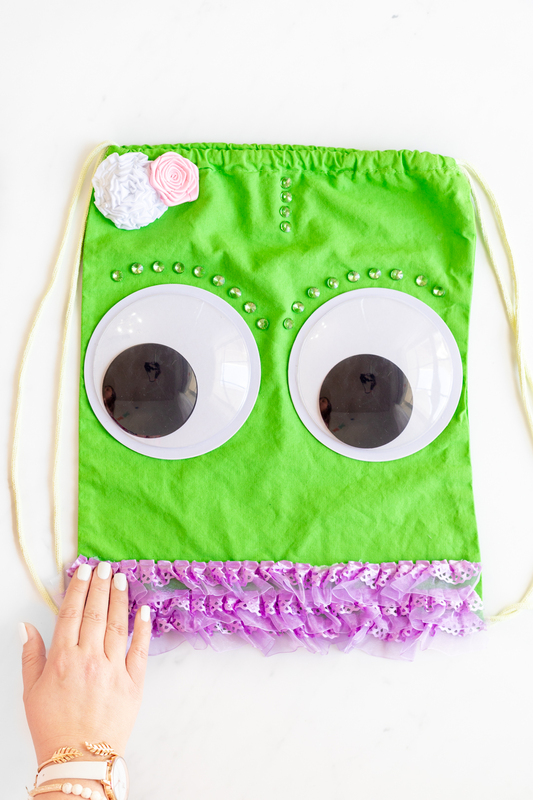 You will soon see how easy it is to make a chameleon backpack inspired by the character Pascal in the movie. 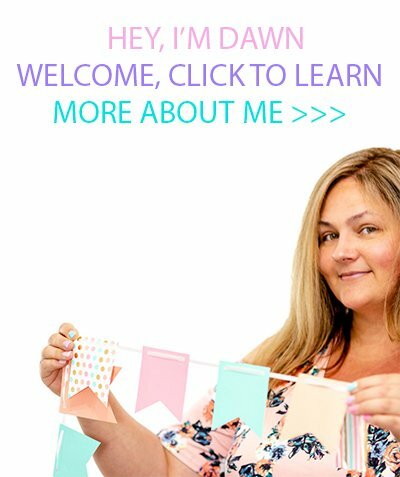 Let’s make something fun! So really quick before we get all crafty. If you are new to Disneybounding like I am, it’s basically when you wear an outfit inspired by a Disney character. This is not to be confused with wearing a Disney character costume either. This requires a little extra creativity and a whole lot of fun. The idea gained its name through a popular Tumblr Blog called DisneyBound. Check it out for max inspo. So, back to this backpack. 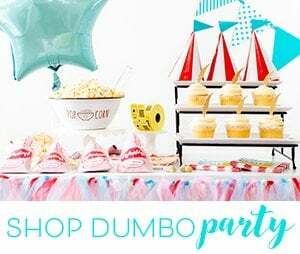 This week, I’ve collabed with a some other Disney loving bloggers over on IG. Check it out here. We’re all sharing our own Disneybounding outfits and I chose Rapunzel. 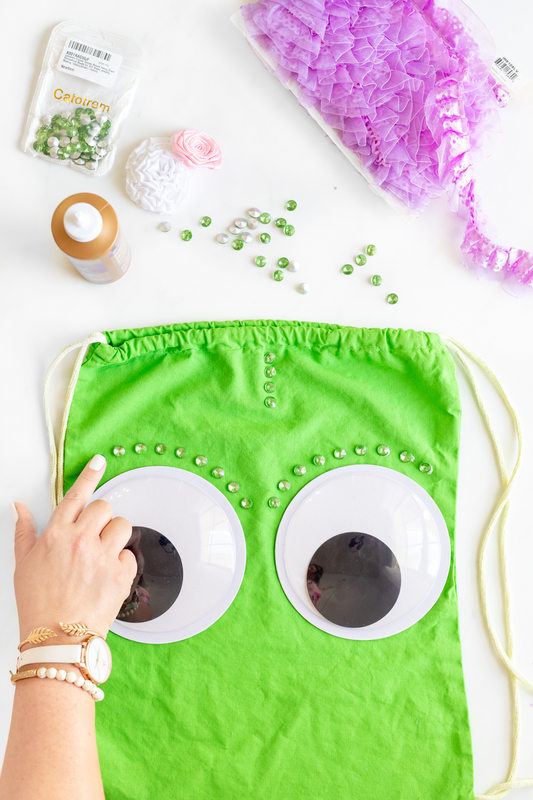 I wanted to include Pascal so that’s where this fun DIY came into play. 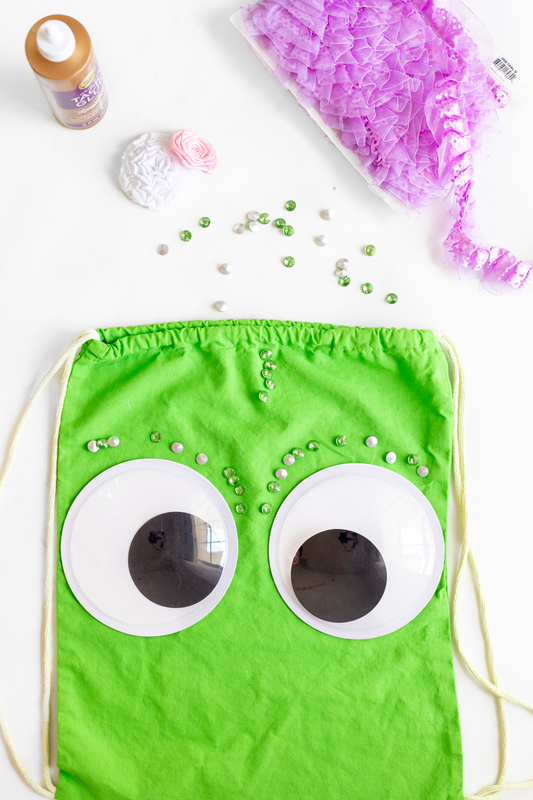 This is such a simple inspired DIY Chameleon Backpack to make. With a small amount of supplies, you can make this in no time. 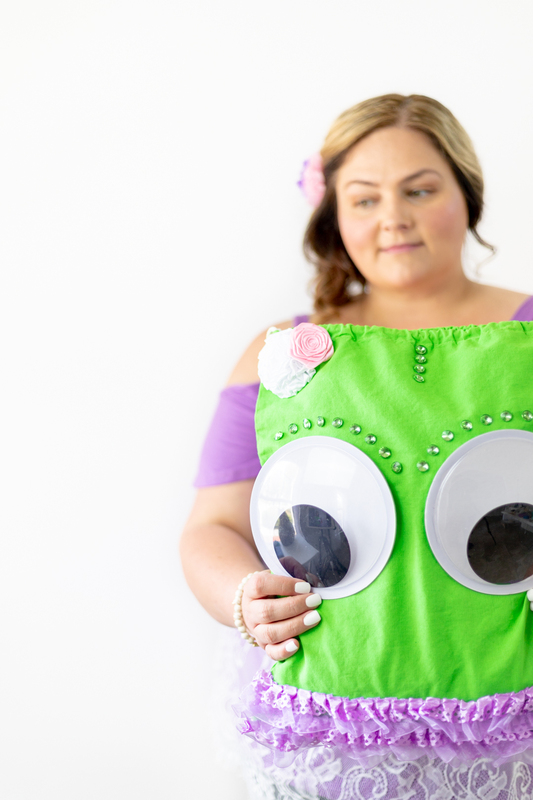 Visit my Amazon storefront here, to see all of the items purchased for this DIY + my Rapunzel Disneybounding picks. 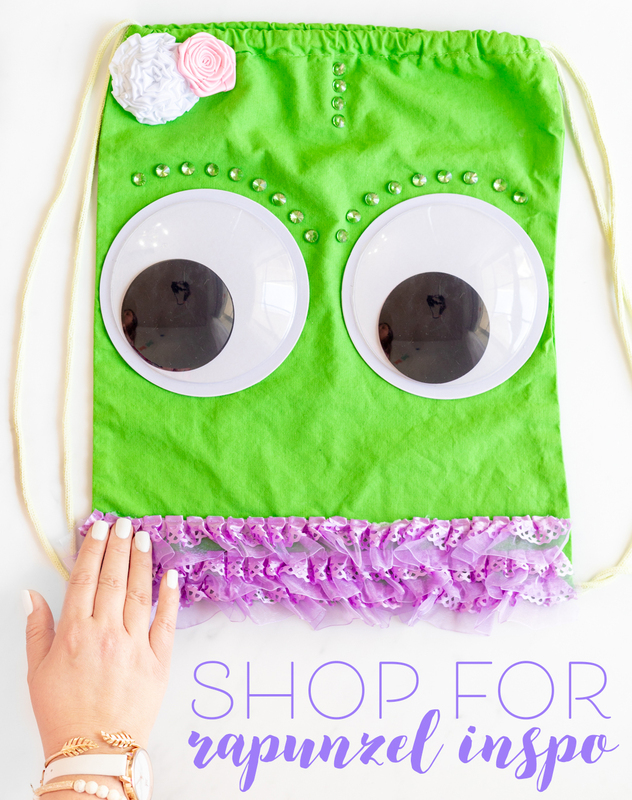 This cute Disney inspired backpack can be made in no time with a few super simple steps. Let’s do it! Step One: Insert a large piece of wax paper inside of the bag so that everything we are gluing does not set stuck to the backside of the backpack. This step is very important. Step Two Lay out all of the pieces and position them to make sure they are all exactly where you want them. Step Three: Use a strong glue like E6000 to secure the eyes into place first. Step Four: Use a strong glue like E6000 to carefully secure the gems into place. Step Five: Use a strong glue or fabric specific glue like Tacky Glue to adhere the flowers to the bag. Step Six: Use a strong glue or fabric specific glue like Tacky Glue to secure the layers of purple trim to bottom of your bag. Voila! 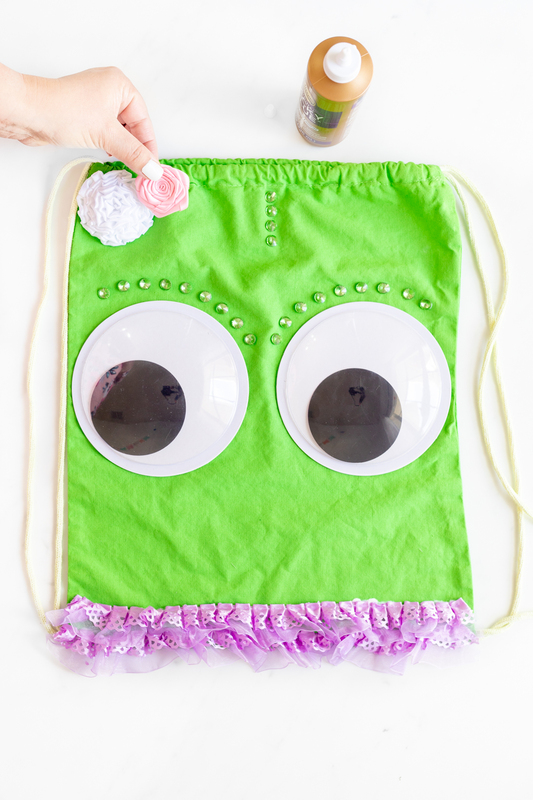 You are not proud owner of an absolutely adorable Pascal backpack. To complete my look, I did a quick DIY flower hair clip, too. Have you ever heard of Disneybounding?